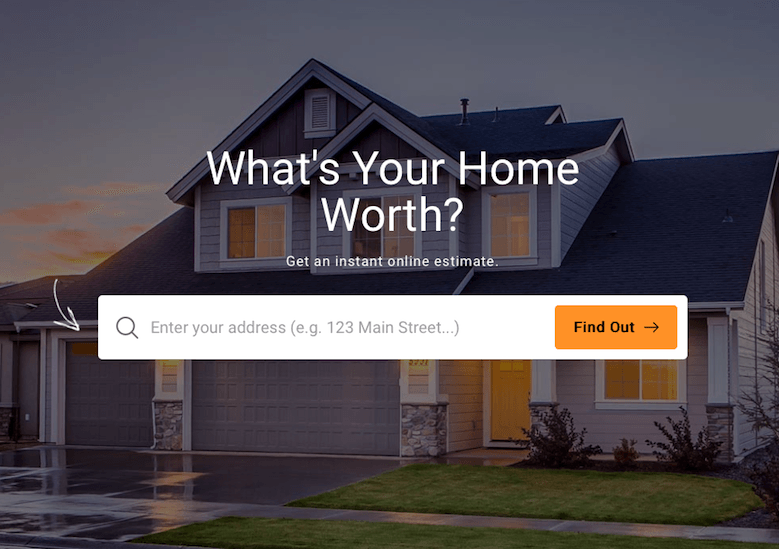 Home Value Estimator | What Is Your House Worth? Accurately estimating a home’s value can be just as much of an art as it is a science. More than just beds, baths and square footage, an accurate value analysis must incorporate dozens of variables into each calculation. The most common approach for estimating value, using comparable active, pending and sold homes, requires in-depth analysis of multiple properties. Factors such as lot size, house condition, upgrades, floor plan, living space, construction and location must all be taken into account. In addition, analysis of local market trends, interest rates, distressed properties, zoning, taxes and seasonal price fluctuations must also be completed. These variables all play a huge role in what a property is worth. Currently, there is no automated tool that can account for all these factors. This is what makes hiring a professional REALTOR® with the right knowledge and experience so important. Our free home value estimator tool gives you a quick and easy way to get a general price estimate for your house. 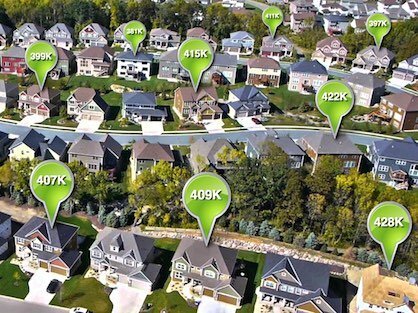 The tool uses nearby active, pending and sold listings from the Multiple Listing Service (FMLS) and county tax records to calculate a market price for your home. After verifying your property address, simply enter your contact information and where you'd like the report to be emailed. There are many factors that contribute to the value of your home, some you can control, some you can’t. Below is a list of factors that play a role in what your home is ultimately worth. These factors are based on houses intended for owner occupants, and do not reflect highest and best use value (such as a developer re-zoning real estate for another type of use). Comparable Property Sales: The sale price of comparable homes in your area is typically the biggest indicator of what your house is worth. Recent real estate sales show what buyers are willing to pay for area homes, and more importantly, what appraisers determine those houses are actually worth. When evaluating comparable sales, adjustments are made to compensate for differences in amenities, features, size and more. Simply look and see what other houses may have that yours doesn’t, and vice versa. Home Size / Upgrades / Condition: Living space is a basic measure in which most houses are compared, and what an appraiser will base much of their calculations on. A home that is appropriately sized for the neighborhood (conforming with other houses) will be on par with the real estate around it, but one too large with extensive upgrades can get priced out of a neighborhood and lose value based on the surrounding properties. Naturally, homes with superior upgrades that are in pristine condition, tend to sell for a higher price per sq/ft than similarly sized houses with no upgrades, or in poor condition. Schools: The quality of public schools in your zoned school district is also a huge component of your home's value. Every parent wants what is best for their child, so access to a top notch education seems to always top the list for buyers with children. Even buyers without children recognize the value of a quality education system when it comes to the resale value of a home. Location: Here in Atlanta, like many other metro areas, location is a key selling point for many buyers because it can greatly impact their quality of life. Access to parks, shopping, dining and entertainment can be a huge selling point and impact what buyers are willing to pay for a property. Homes in popular locations tend to have higher demand and usually sell quicker, which helps maintain values and spur price appreciation. Neighborhood: The appearance of a neighborhood can greatly impact a buyer’s perception of your home and what they may be willing to pay for it, even before they’ve stepped foot in the front door. A safe and well maintained neighborhood will invite buyers right in, while a dangerous and unkept neighborhood will have them looking for the quickest road out. A neighborhood in decline will drive values down, while a prosperous neighborhood can cause prices to increase. Lot Size & Type: The lot your house sits on does play a role in what your home is ultimately worth. Generally speaking, the bigger the better, but not always. Homes on flat lots that are private, well landscaped, waterfront, or with other views tend to command a higher selling price than those on an extreme slope, backing up to power lines or major highways, or highly exposed. While consumers don’t have direct access to the MLS to find comparable sales, there are still easy ways to get this information. You can even use the search tool on this website to locate past sales. 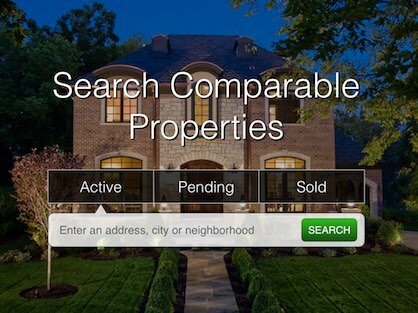 Just look for the property status field on our search page and select the box next to "Sold". You'll have the option to view listings that sold up to six months prior, which is about the same max timeframe appraisers use when they look for comparable sales. If you want to go back further, just select "All". Please note, only the primary listing photo is available for sold listings, so you'll need to use another source if you want to see additional property images. 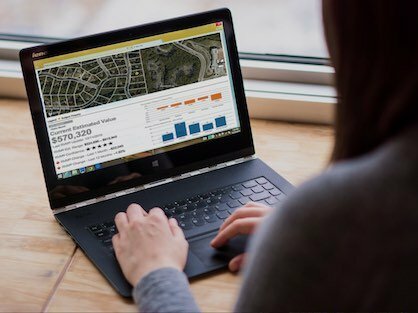 If you're looking for more in-depth property information and historical photos, try using sites like Realtor.com, Zillow, or even your county tax commissioner's website. By searching county records, you’ll be able to view information for all properties, whether they were listed on the MLS or not. Most counties now have records online, but they can sometimes take a couple weeks or more before transactions are recorded. Therefore, the most recent sales may not be available. What Makes A Good Comparable Property? Finding the right comparable properties (comps) is the key to accurately determining your home’s true market value. Finding good comparable sales is ultimately about identifying the properties that most closely match your home. The best comps are the those of the same style and size that have most recently sold in your immediate area. Look for houses in the same elementary school district; the closer they are the better. Try and find houses that were built within 10 years of your home and have a similar: style, size, number of beds/baths, construction materials and lot size. You should also factor in amenities and upgrades that have been done, as these can add considerable value to a home. When evaluating recent comparable sales, you should consider the date of closing (the more recent the better), seller contributions toward the buyer’s closing costs, and whether the buyer paid cash or financed the purchase. Generally speaking, real estate agents representing sellers are more focused on finding an optimal price for their listings, rather than trying to determine the value. The optimal price is usually one that generates the best offer in the shortest period of time. In a hot market, buyers may be willing to pay more for a house than it is actually worth, and agents will use this to their clients’ (sellers) advantage. 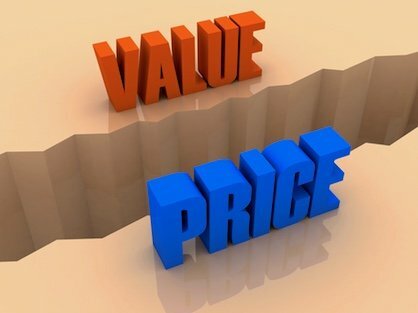 However, value is totally different, and usually requires in-depth analysis of local market trends, comparable sales, replacement cost, and the determination of highest and best use. Due to the complexities of establishing a home’s true value, you’ll need to hire a top-notch appraiser with plenty of experience valuing similar properties in your specific location. Of coarse, hiring an appraiser costs money, usually about $350 or more, depending on the type of property. If you’ve ever checked home values with a REALTOR®, you've probably heard the acronym, CMA. In its simplest terms, a CMA, or, comparative market analysis, is the process of determining what real estate should sell for using recent sales and local market trends. Typically performed by a real estate agent prior to listing a house for sale, a CMA involves the evaluation of similar active, pending and sold properties. The sale price of comparable properties can be adjusted to account for differences between them and the subject property. Once this has been done for multiple comparable properties, a price trend should start to appear. Additionally, some agents choose to average the adjusted price of the comparable properties, assigning different weights to each of them based on their similarity to the subject property. Because there is no formal procedure for performing a CMA, the accuracy and level of detail will vary from agent to agent. Also, it’s important to note, a CMA is not the same as an appraisal. Learn more about home values and exactly what a comparative market analysis is. How to get a CMA, what is included in a CMA, and how home values are calculated. A CMA is a valuable tool for home buyers and sellers, providing you with an accurate determination of how much a home could sell for in today's real estate market. 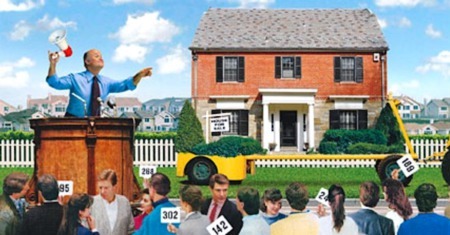 Comparing CMA's and appraisals for determining residential real estate values. What is a CMA? What is an appraisal? 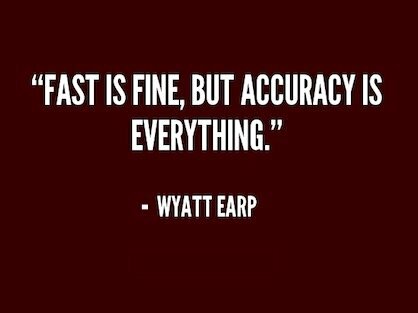 Covering the costs, accuracy, who performs them and a few things you may want to consider before getting either of them. Learn the difference in the two as we take a closer look at the similarities and differences. Learn the major differences between a CMA and online home value estimates like Zillow's Zestimate. This video also explains what a comparable market analysis (CMA) is, how online home value tools work, and offers a comparison of the two. Some important factors you should consider when looking to determine the value of your home. Visit our website to request your home value report and get started with the sale of your home today. Just How Accurate Are Automated Valuations? Plain and simple… not very accurate. Don’t believe me? Check out Zillow’s own data showing the accuracy of their popular Zestimate home value tool. Despite their huge database of properties and real estate data, they still don't have a 100% accurate home value estimator. But think about it. How could a computer algorithm factor in all the variables previously discussed that contribute to the value of real estate? Some things just require the knowledge and evaluation of a trained professional (a human one) to properly calculate. Most online home valuation tools simply rely on local sales trends and public real estate records to estimate general price trends. Unfortunately, too many people rely heavily on these online home value estimators; a decision that can prove to be very costly. However, finding out an approximate price range for your property can help you estimate how much equity you've built (sale price minus mortgage loan(s) balance); just remember, it won't be exact. Maybe in the future, robots will come to each house to measure and evaluate the property like a trained professional would, but until then, stick with a house worth estimator that is human. With more and more buyers and sellers turning to the internet to search and research real estate sales on their own, it’s more important than ever to verify your property’s information is correct. Public data, like real estate tax records, can often be wrong. This data may be used by hundreds of websites, including real estate home value estimator tools on sites like Zillow. Public real estate records are also used by banks, appraisers, agents, investors, utility companies and more, so you'll want to make sure they're correct. Here's what can happen to the estimated market value of a home when public data is incorrect. Let’s say public records have your square footage off by just 100 sq/ft. Many property worth estimator tools utilize the average price per square foot of houses in the surrounding area to help calculate a value for your home. With houses in Atlanta selling at $100+ per square foot, that means your home’s estimated value could be off by ten thousand dollars, or more! So take the time to review and verify all public data for your property, especially before listing your home for sale. What's Included In Our Home Value Report? 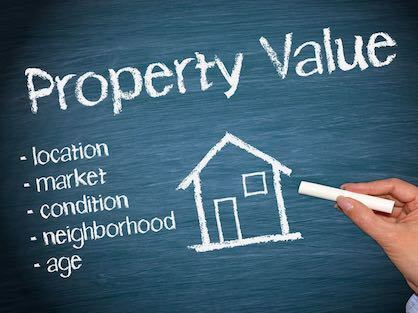 Home value reports include an estimated property value, along with an approximate value range. The value range varies depending on the confidence level, which is determined by the availability of public real estate data and the number of comparable houses sold in the immediate area. In addition, reports include: historical property value, sale history, mortgage history, market activity, an area real estate value heat map, and more. Each free report also has tons of valuable information about the subject property, comparable properties and local market trends. This information can be used by the homeowner to further evaluate the local market conditions and nearby comparable sales; both of which impact what real estate is worth. Home value reports contain data and information that is publicly available and/or licensed from third parties and is provided to you on an "as is" and "as available" basis. 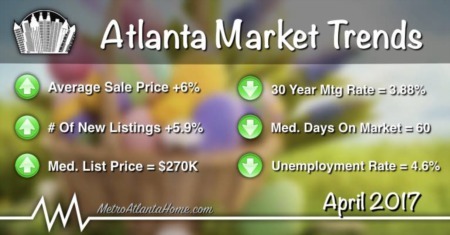 The information is not verified or guaranteed by MetroAtlantaHome.com or our real estate agents. Neither the report nor the estimated value of a property is an appraisal of the property. 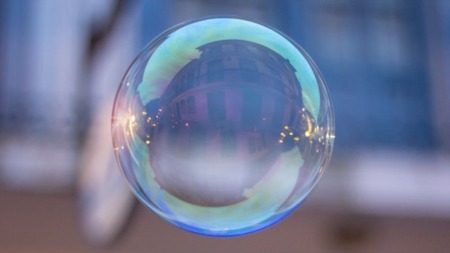 Any valuation shown in the report has been generated by use of proprietary computer software that assembles publicly available real estate records and certain proprietary data to arrive at an approximate estimate of a property's value. RPR and its information providers shall not be liable for any claim or loss resulting from the content of, or errors or omissions in, the information contained in the report. Median Estimated Property Value – This chart displays property estimates for an area and a subject property, where one has been selected. Estimated house values are generated by a valuation model and are not formal appraisals. Sales And Financing Activity – This chart shows a property's sales and financing history. It can be used to compare the value of the property as seen by public records, such as deeds and tax records, with what the house is estimated to be worth. Actions taken against the owner, such as the issuance of a Notice of Default, are noted. Sales activity, such as listing date and price reductions, are highlighted. Market Activity – This chart summarizes market activity by listing status (active, sold, expired, distressed). The activity is broken displayed by time periods, including: the last 30 days, a month prior, and 12 months prior. Listing Price vs. Sales Price – This chart displays the average percentage difference between the listing and selling price, including the length of time properties were listed for sale. Average Price Adjustments - This chart displays the average percentage adjustment from the original list price, compared with the length of time properties have been for sale in this market. Median Estimated Home Value vs. Median Listing Price – This chart compares a ZIP code's median estimated house value with its median listing price. Estimated real estate values are generated by a valuation model and are not formal appraisals. Median Sales Price vs. Sales Volume – This chart compares the price trend and sales volume for houses in an area. Home prices typically follow sales volume, with a time lag, since sales activity is the driver behind price movements. Median Listing Price vs. Listing Volume – This chart compares the listing price and listing volume for homes in an area. Listing prices often follow listing volume, with a time lag, because supply can drive price movements. Price Per Bedroom of Homes Sold – This chart shows the distribution of houses reported sold in the past six months at different prices per bedroom in the area of your search. The amount shown for the subject property is sold data where available, or the property's estimated value when sales data are unavailable (such as a non-disclosure state) or provided in range format. Median Sales Price by Square Footage – This chart shows the median price of homes reported sold in the past six months, according to the size of the living space, in the area of your search. The amount shown for the subject property is sold data where available, or the property's estimated value when sales data are unavailable (such as a non-disclosure state) or provided in range format. Price Range of Homes Sold - This chart shows the distribution of houses reported sold in the past six months within different price ranges in the area of your search. The amount shown for the subject property is sold data where available, or the property's estimated value when sales data are unavailable (such as a non-disclosure state) or provided in range format. Price per Square Foot of Homes Sold – This chart shows the distribution of properties reported sold in the past six months at different prices per square foot in the area of your search. Age Range of Homes Sold – This chart shows the distribution of houses reported sold in the past six months of different age ranges in the area of your search. Number of Bedrooms in Homes Sold – This chart shows the distribution of properties reported sold in the past six months, according to the number of bedrooms, in the area of your search. Inventory of Distressed Listings – This chart shows the count of distressed properties (all stages of foreclosure) that are for sale in a ZIP code.